Are you planning to upgrade to Configuration Manager Current Branch 1810 and actively using the Upgrade Readiness integration feature? Then this blog post might save you some headaches later on. Looking into these files further pointed to a potential issue with the Upgrade Readiness integration, which was enabled in this particular environment. The dmpdownloader.log indicates the Upgrade Analytics download interval is set to 0 and running continuously. In the meantime Microsoft has published KB4498259 confirming this is a known issue with Current Branch 1810. The fix comes with the 1902 release and in the meantime a workaround is to (continuously) set the download interval in the registry. More details in the KB article here. Over the weekend I received confirmation I was re-awarded as a Microsoft MVP in the Enterprise mobility category. I am proud and honored to be awarded for the fifth consecutive year. Thank you Microsoft for the recognition and thanks to everyone in the community for the support and good times spent together during the past 12 months! Want to learn more about the program? Make sure to have a look at the MVP website. See you around at a local or global event! Thanks for attending the session and as always: questions and comments are welcome. 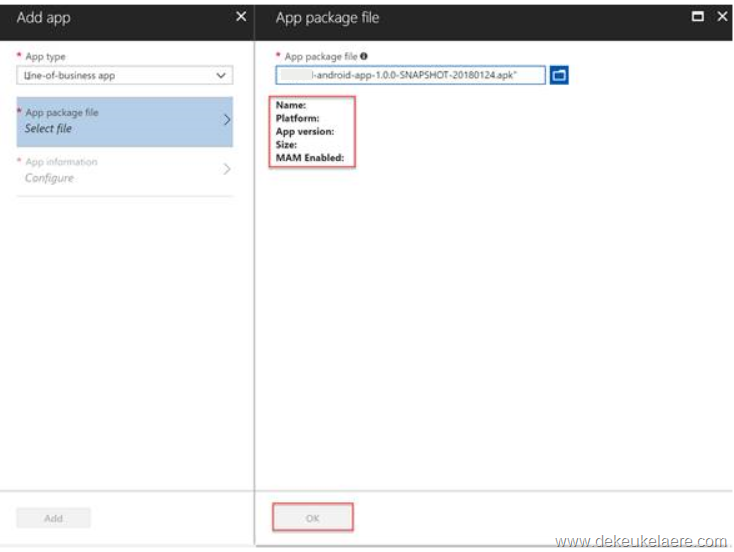 Recently we ran into an issue with Intune when trying to upload an in-house developed line of business application for Android. 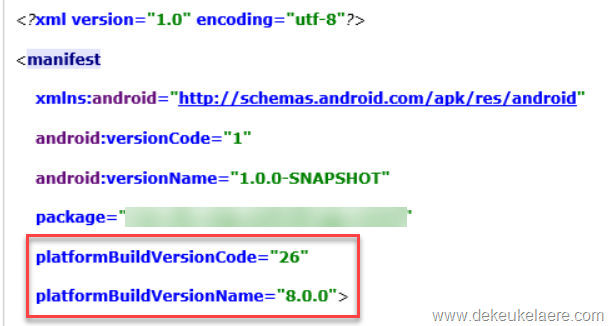 The symptoms seen are rather straightforward : when selecting the .apk file, the details like name, platform, version, etc. are not populated automatically and the OK button remains greyed out. As a result the application cannot be uploaded. Clearly something is missing, but trying to pinpoint the root cause has turned out to be difficult. The actual requirements that an application must meet are, to my knowledge, not documented. This makes it very hard to determine the cause and provide any further details to the application developer in an attempt to further resolve this. For the non-developer (like me) this does not say much, but at this point the .apk file could successfully be uploaded in Intune. Just a quick blog post to share the slides from my new blips on the radar session at Lowlands Unite Belgium last week. Thanks to those who attended – in case you have any further questions or feedback make sure to leave them in the comments. I will get back to you as soon as possible. Also check out this Sway looking back at Lowlands Unite Belgium Edition 2017. Looking forward to the next edition in 2018! In two days we are ready to kick off the second leg of Lowlands Unite for this year. The event will take place at Lamot in Mechelen, Belgium. Similar to the Netherlands edition there will be two tracks: one for EMS / ECM and one for CDM / Security. I will be presenting in the first track. Based on the current agenda I will be kicking off the day and during my first session I will be flying solo. The objective of the session is to give an overview of the latest and greatest in the world of Configuration Manager. Additionally I will talk about the modern management capabilities that can be considered also. For my second session in the afternoon I will be joining Kenny Buntinx for a presentation on servicing your workplace (like a boss). Here we will talk about servicing challenges Windows 10 brings into your environment and how you can tackle them. For this event we will be joined by two international MVP’s: Ronni Pedersen and Mirko Colemberg, plus a special guest from Microsoft in Redmond: David James. David is the director of development of the Configuration Manager team. Belgium is the fourth stop of his European Tour visiting different user groups. This a unique opportunity which you honestly cannot afford to miss. Interested in joining us? It’s not too late : registration ends in approximately 24 hours and there are still a few seats left. More information and registration here.